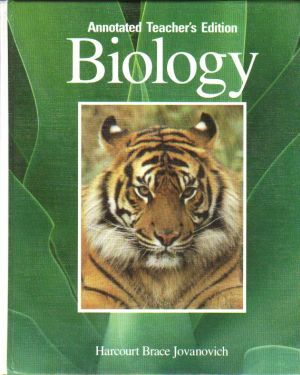 Annotated Teacher's Edition of the high school Biology text. Starts wih an introductory section for the teacher. Answers to various quizzes in this book are printed in the margins in blue ink. From a teacher's reference library and Very lightly, if at all used. Only writing or marks are the teacher's name and school written in pen on inside front cover. We mail you this book in a box not a plastic bag!